"The Relationship of Practice and Theory"
As a theatre director, Richard Schechner is best-known for his radical stagings of classical material. His hugely controversial "Dionysus in '69" (1970), in which actors frolicked among the audience with abandon, is considered a watershed moment in the history of American theater. His more recent production, "Yokastas Redux" (2005), features Jocasta, mother of Oedipus, competing with Medea and Phaedra for the title of "Baddest Mom" on a parody of the Jerry Springer Show. As the influential founder of the Performance Studies Department at NYU, Schechner is also a theorist whose work has transformed the study and practice of theater production. He brings a knowledge of anthropology, sociology, religious ritual and folklore, as well as a wide-ranging multicultural perspective on the purpose of performance, to his scholarly work, and to his own productions. Influenced by Schechner's example, dozens of Performance Studies Departments have been established at universities throughout the United States and Europe. Schechner's books, which are widely read in drama courses around the world, include "Performance Studies-An Introduction" (2002), "The Future of Ritual" (1993), "Performance Theory" (published 1985 as "Between Theater and Anthropology," revised 2003), and "Environmental Theater" (1973, revised 1995). Writing in the "New York Times," Colin Turnbull called, "Between Theater and Anthropology," "fascinating for anyone seriously interested in human behavior, full of ideas that lead us to re-examine our thinking about all performances, from the most dramatic to the most seemingly trivial…. If we have read diligently, Mr. Schechner has given us all the tools we need to appreciate the deeper social significance of what is taking place in front of our eyes instead of accepting it for what it seems to be." Schechner has long served as editor of the academic journal, "TDR: The Drama Review" (1962-69, 1986-), the most important publication in its field. In 1967, Schechner founded the renowned experimental troupe, The Performance Group, whose notable alumni include Spalding Gray and Elizabeth LeCompte. In 1991, he founded East Coast Artists Performance Exchange, which he continues to lead. 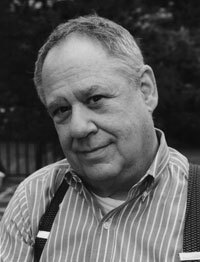 His original plays, adaptations, translations, and radical stagings include "Yokastas" and "Yokastas Redux" (2003 and 2005), "Three Sisters" (1995-7), "Faust/Gastronome" (1993-94), and a legendary staging of "Mother Courage and Her Children" (1975-77, after Brecht). He is currently directing "Timbuktu" (2006), by Paul Auster and Saviana Stanescu.